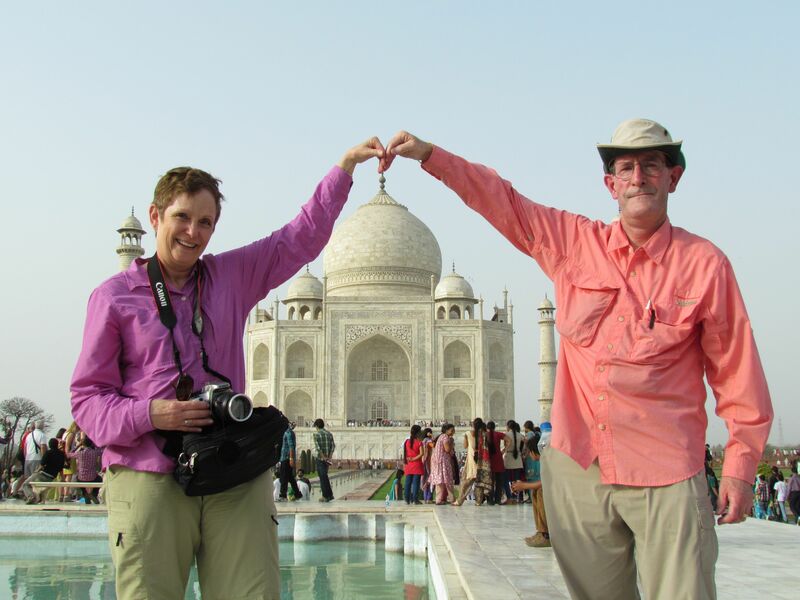 Last week, Keith and I visited the Taj Mahal , one of the seven wonders of the world. Shah Jahan’s third wife, Mumtaz Mahal, died giving birth to their 14th child. To show his great love for Mumtaz, Shah Jahan built the Taj Mahal as a memorial to her. Semi-precious and precious stones were used in the inlaid artwork, and as many as 1,000 elephants transported the marble and other materials during the 22 years of construction. Such great love memorialized in 1653, and almost 4 centuries later, 2-4 million people visit this structure each year. Perhaps they think about Shah Jahan’s great love for Mumtaz, take photos, smile, maybe kiss their loved ones, and then go home to tell their families and friends about the beautiful Taj Mahal. Perhaps a few think about the nature of love. An artistic work dedicated to the dead. What if that artistry, that costly sacrifice of all that is precious, and those years of construction were replicated in my marriage—while my husband is alive? An artist is patient; he is kind to the materials he uses; an artist rejoices in beauty, bearing the burden of the weight of construction; the artist believes that beauty will be the outcome; the artist hopes that others will see the beauty; the artist endures tedious work. God is our great artist, and He is working in our marriage to create a love that never fails. He takes the rough stones and polishes them. He carves the designs and inlays the stones. He inscribes His words, and dyes the letters, so that all can see. What artistic form is your love taking? Our great Creator, You have created a kaleidoscope of colors, a bouquet of fragrances, a blanket of textures, and a symphony of hope. Thank you for your great artistry. Take our marriages and create a masterpiece of love that never fails, and we will give You the glory forever.